9. Flash or HTML5 /our-ser­vi­ces/web­site-design-and-layout/flash-or-html5.. 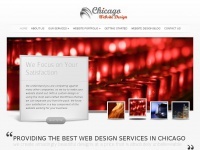 The web server used by Chicagowebsitedesign.biz is run by Sapioterra, LLC and located in USA. On this web server 14 other websites are hosted. The language of those websites is mostly english. The Chicagowebsitedesign.biz websites were developed using the programming language ASP.NET and served by a Microsoft-IIS server. For managing the data of the webpages the CMS WordPress in the version 3.8.27 is used. XHTML 1.0 Transitional is used as markup language on the webpages. The website does not specify details about the inclusion of its content in search engines. For this reason the content will be included by search engines. 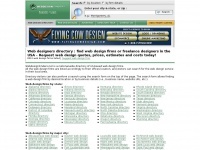 Webdesignfinders.net - Web de­sign di­rectory - US - find a web de­sig­ner, ..